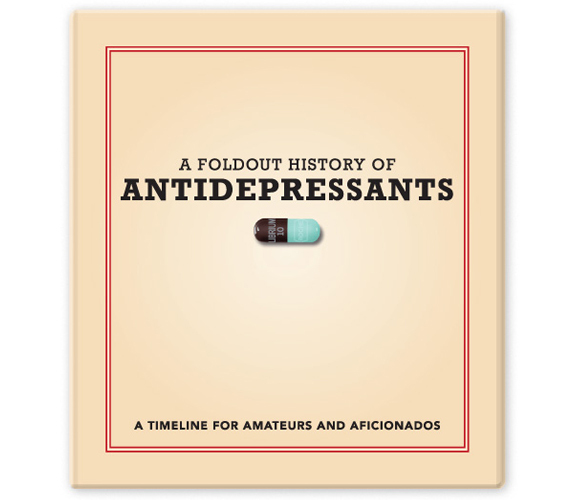 The off label use of bath salts will soon fade away, but antidepressants are here to stay! 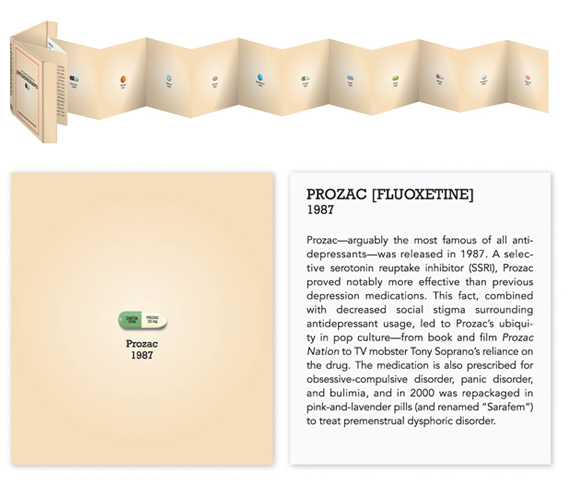 This charmingly weird foldout timeline chronicles the colorful history of everyone’s favorite family of pharmaceuticals. Featuring meticulous research and good-enough-to-swallow eye candy, this book is as fascinating as it is fun. Keep it out on your coffee table to get the really good conversations flowing. Just don’t be surprised when your guests end up lying on the couch and opening up about their daddy issues.